Our season's not over yet. We know that. 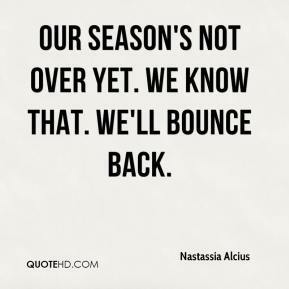 We'll bounce back. When she hit that last three, I just started laughing. It was unbelievable. She was unbelievable.